These are the reviews for Idlers Cottage. There are 52 reviews. Beautiful cottage with lovely owners who are non intrusive. Perfect location for Glastonbury, Cheddar Gorge, Lyme Regis, Bridport...the list goes on. Would definitely like to visit again. A really delightful little place in a lovely setting and well kitted out. We came in November so enjoyed using the woodburning stove. Lovely cottage. Small but very comfortable and nicely furnished. The owners were nearby but it was still very private. They started us off with some delicious home baking. Beautiful cottage, wonderful little touches such as the furnishings and pretty garden flowers. The bed was so very comfortable and the overall comfort was perfect for two. Unobtrusive owners who were friendly when we arrived. Thank you for providing such a pretty place to stay. A very peaceful and restful environment. A plentiful supply of shops nearby, very helpful and non-intrusive owners. A beautiful cottage with brilliant owners, and everything we needed was in place for a perfect relaxing break. It was comfortable accommodation in a peaceful and beautiful area, with good access to the coast and Somerset levels. Would fully recommend this cottage. The area was ideal to explore on foot, there were lots of local walks, good village shops and a pub only a few minutes away. The village was very attractive with lots of character. Idlers Cottage was private and secluded with its own patio area. A lovely cottage with excellent owners who give you all the information about the cottage and surrounding area then leave you to get on and enjoy your stay - perfect. It was nice and secluded, comfortable and quiet, perfect. Beautiful and peaceful Studio, exactly as described, situated at the bottom of the Owners well maintained Garden. Lovely Owners who are there if you need them, but give you complete privacy. The amenities are excellent, Anything else you may need can be obtained from the local village, which is just a few minutes walk and includes the village pub with lovely friendly staff and customers alike. It is also a superb base for exploring the surrounding areas. We thoroughly enjoyed our week stay and definitely hope to visit and stay again in the Future. Idlers Cottage was a lovely peaceful place and the Location was perfect for exploring the surrounding areas. Charming studio cottage tucked away Iin a corner of the owners lovely garden . Very private with its own small garden with seating area . Owners friendly and around if you need them but you have privacy. The village has still retained the village shops butchers , bakers, grocers, pub, florist etc which we loved just a minutes walk to the friendly village to buy everything you need. There is a small co-op but we gave all our business to the independent shops above as the village would die if the supermarket got all the business. The interior of cottage is charming and comfortable and the garden is cottage style but I would recomend higher watt bulbs as we found we had to put the lighting on all day as it was dark and that's are only negative but this can be resolved quite easily with a smaller tv and cooker as they block the light from windows. Hope this helped but should not put you off as its lovely . Great places to visit for the garden lovers and peaceful country walks to Martock . Highly recomend the small shop opposite the grocers selling handmade pastries and cakes , meats and cheeses etc also the pretty florists ( textile artist ) selling handmade gifts by her very own hand . The accommodation was comfortable and relaxing. The private garden area was lovely. Very enjoyable. Gorgeous romantic setting, superb location, fantastic weekend break! It was a lovely cottage! My boyfriend and I had a really nice time. It was very pretty and cosy, with a log-burning fire which was very romantic. A beautiful cottage set in a tranquil setting in the stunning town of South Petherton. Perfect retreat, furnished so tastefully with a cosy, vintage vibe. Situated close to quirky shops, a pub offering a yummy menu of home cooked local produce and friendly people. Definitely recommend to family and friends. Thank you to the owners for a lovely stay. The cottage looked exactly as advertised, we had an amazing stay very romantic and would definitely stay again. Idlers cottage is set at the top of the owners garden, very private and rustic with all mod cons. The owners were very friendly and obliging, always helpful, but respecting our privacy. South Petherton is a beautiful village with shops and a great pub. We found everyone in the village very friendly and shop owners very helpful, we will definitely go back next year. We had a fantastic stay in Idler's cottage, an easy walk to 2 great pubs, especially the one in South Petherton and located perfectly to set off for beautiful walks around the countryside with the added bonus of a coop 5 minutes walk away for if you run out of milk. The cottage itself was amazing with all the facilities you could want and a lovely private garden and bench area to sit around. Would definitely reccomend. Fantastic location with lovely accommodation. Amazing privacy considering you are in the owners garden! It was very cleverly designed to make you feel like you have your very own space. We wouldn't hesitate to recommend Idlers Cottage to anyone needing a break away. A lovely little cottage that provided a peaceful getaway, which was just what we needed. A great base for exploring - plenty to do in the local area. Would love to come back. This is an ideal property for couples who want to escape the pace of modern society. The accommodation is small, yet charming and secluded; it has everything that you need to enjoy a weeks stay. The log burner is a real bonus and brings the room to life. We spent a lot of time exploring the Somerset, Dorset and Devon area, so the location was perfect. Superb attention to detail in every way, wonderful friendly and helpful owners, Can't speak too highly of it. The owners were friendly and lived next door. South Petherton has a very good pub serving excellent beer and cider and food within 5 minutes walk. It's also a good base for the coast, Somerset levels, Wells, Glastonbury, Dorchester and Sherborne. The cottage was nice and warm. We loved the privacy. The cottage was very cosy and beautiful, romantic. One room cottage in back garden of helpful owners. In very friendly village with lovely local shops and close to splendid stately homes and glorious gardens. Get a local map so you can navigate the back roafs. No washing machine. Would suit reasonably mobile couple who value peace and seclusion. 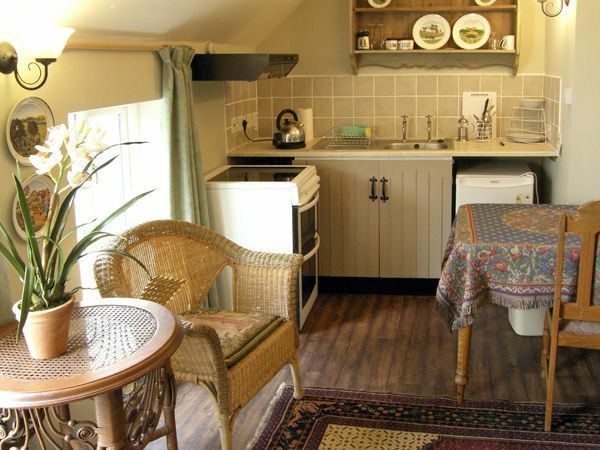 A really beautifully furnished one room cottage in a friendly village. Lovely secluded feel. Good shower. Very helpful owners. Shops, library, pub, etc very near by. Lots of gorgeous gardens etc nearby to visit. Everything was most enjoyable. A lovely small Somerset village, close to several gardens and lovely for local walks. The cottage was well laid out, comfortable and homely. Excellent central location, quiet and secluded yet with everything required, including superb hosts. We had peace and quiet and the location was excellent. The owners were very friendly and helpful but gave us complete privacy. We will most definitely be returning. We absolutely loved our stay, the hosts were very welcoming and helpful but left us to our own devices.The cottage ticked all the boxes: beautiful, full of character, homely yet romantic and very fairly priced. Despite being located in the owner's garden it is very much secluded and private. Complete privacy without being far away from anything, and the friendliness of the owners and local area. The cottage itself is perfectly formed and is a lovely place to spend time. Charming yet discreet owners. Very comfortable little studio with well-equipped kitchen. In great location only minutes from the charming village of South Petherton. Very close to a number of National Trust properties and other places of interest. Friendly pub in village, beer festival in progress during our visit good fun.We loved this cottage and would recommend it to anyone wanting a quiet romantic break at any time of the year. 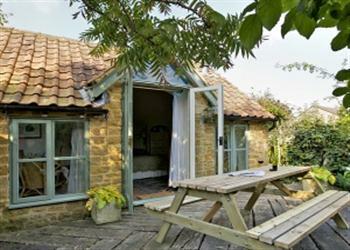 A charming cottage for a relaxing break, in the heart of a village. There was plenty to do and see and the garden was quite private. Our stay was very relaxing. The area and amenities nearby were superb! The local pub served excellent food, there were lovely walks around the village and a good map from tourist information. Lovely, friendly village. Cottage is lovely, perfect setting to do a lot of touring and many attractions close at hand - excellent. Would recommend property to friends and family. Very quiet and relaxing and we liked the situation of the cottage. Our holiday was very relaxing. The cottage was very private and we had our own private patio area that was not overlooked. We loved the whole South Petherton experience. A very friendly village, we felt very much part of the community . We loved the local pub, lovely pub grub and not expensive, very good value for money. We were made very welcome, very good customer service. Thumbs up all round. Idlers Cottage was exactly as described - idyllic and in a picture perfect village. Our hosts were charming and helpful whilst allowing us privacy - we couldn't have asked for better. Make sure you frequent the local pub - the choice of foods and ales are amazing and the staff are very welcoming. We will definitely be returning to Idlers Cottage! We enjoyed the homely feel of the place and the cleanliness. Nice choice of amenities without being overly fancy. The cottage was well located and a great base for touring the local area. Small but perfectly formed! The property was exactly what we required. Very true to the brochure description. It made a very good base for the travelling we did in such a beautiful part of the country. We would highly recommend it. We enjoyed the character of the cottage and peacefulness of the garden. The owners were welcoming and accommodating. The owners were very welcoming, but left us to do our own thing as well. The cottage was beautifully kept and great value for money, a perfectly relaxing break for us. we couldn't have asked for a nicer break .are hosts were friendly and helpful without being intrusive.the accomodation was clean and comfortable perfect for our requirements. unfortunately the week we stayed it was the village hostlery's beer festival and we felt obliged to participate in the festivities sampling most of the 27 beers and 12 ciders on offer 4 days of heaven ....we did see quite a lot of the local area as well , and very nice it was to .it was a disappointment when we had to leave. If you're looking for other cottages around Idlers Cottage, we've got some cottages below which may take your liking. There are 23 cottages within 5 miles of Idlers Cottage - and they have reviews too.